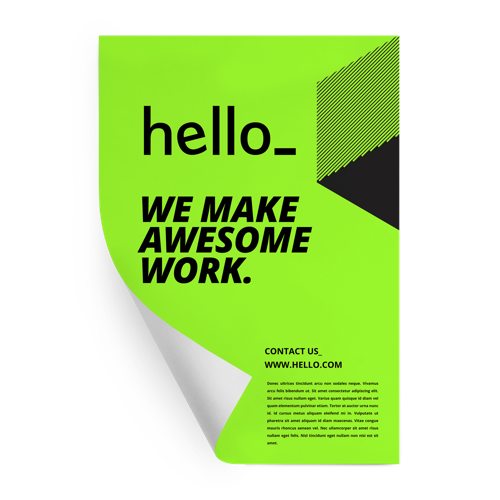 Print your neon posters at Helloprint to get that sleek design. 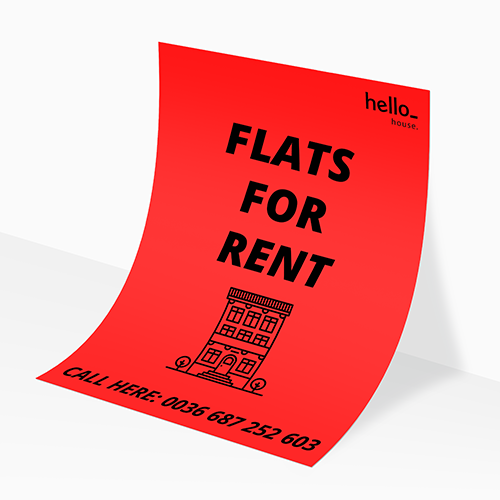 Your design is printed only in black ink on 80 grams posters with a neon colour of your choice. 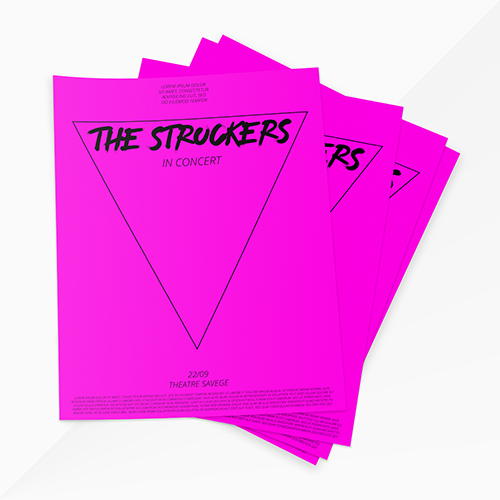 Neon posters are becoming more popular and often used to promote events. 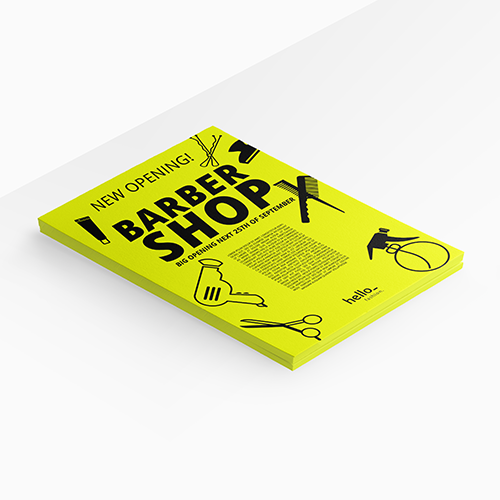 We've helped thousands of businesses and individuals with their neon poster printing! 1 2 3 4 5 6 7 8 9 10 25 £ 71.49 recommended 50 £ 76.99 Not sure about the quantity? This is the most chosen amount for posters. To guarantee this delivery date, your artwork & payment need to be received and approved before 08:30pm on Monday April 22 . Rest assured that any public holidays have been factored into your delivery schedule. To guarantee this delivery date, your artwork and payment needs to be received and approved before 08:30pm on Monday April 22 . At Helloprint you never have to worry about your artwork. After placing your order you can easily upload your artwork. Our professionals will always make sure that your design is perfect. Your order will only go into production when you are completely satisfied. To guarantee the delivery time, your artwork and payment needs to be received and approved before 08:30pm on Monday April 22 . 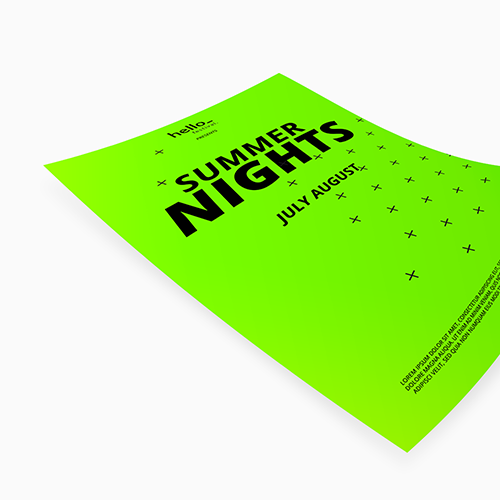 Neon paper 80 gsm: a wood-free coated, fluorescent paper. The fact that these stickers are fluorescent makes them perfect for indoor use, as warning sticker, indicating label or for advertising purposes. This paper comes in 4 different colors: yellow, orange, red, and green. Note that additional text can only be printed in black. For the delivery of your neon posters we use multiple carriers. Because of the highest reliability, in most cases we use UPS or DPD. The neon posters that is chosen in most cases can be selected via our website.